To answer, the government hopes, is in a new guide issued by the Canadian Centre for Cyber Security. The Centre is the recently-established federal advisory agency on security. It’s a unit of the Communications Security Establishment, responsible for securing federal departments. Called the Baseline Cyber Security Controls for Small and Medium Businesses, the offers SMBs advice on getting the biggest bang for their bucks. Suggestions are tailored for SMBs. For example, it says they should think about automating the installation of software updates as a time-saver instead of testing each patch before installation. Admittedly that’s risky. Large organizations should have full vulnerability and patch management assessment programs, the guide notes, to avoid problems with patches that clash with existing software. However, the guide says most SMBs should consider accepting the risks of patching by default. The guide differs from the Centre’s Top 10 IT Security Actions organizations can take, which, as its name suggests, is a list. The 18-page document offers a bit of guidance to each step without being too methodical. 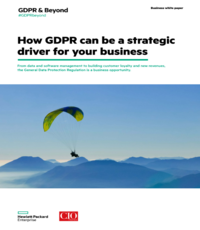 Note, however, that the guide is not for SMBs whose ongoing viability would be endangered by a successful cyber attack, nor those whose data or systems could compromise public or national security. Those organizations, the document says, should have comprehensive protection. It splits recommendations into two parts: Organizational controls and baseline controls. Belcourt says SMBs should look at them in that order. Briefly, organizational controls involve making an inventory, ranking the value of data and IT systems, and appointing someone in leadership to be responsible for IT security. Baseline controls are the expected things like patching policy, anti-malware, secure configuration, use of strong user authentication for logins, employee awareness training, backing up and encrypting data and securing mobile devices. 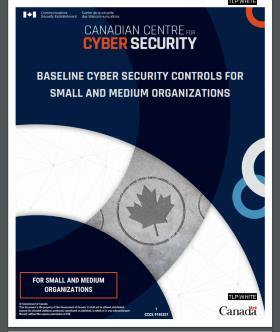 Interestingly, the baseline controls section suggests first creating a written plan for responding to and recovering from cyber incidents.”Start by thinking something is going to eventually go wrong,” Belcourt said, and what the organization will do: Who will be in charge of the response? Who will contact employees, customers, shareholders, regulators? and so on. In fact not having a response plan is one of the worst decisions an SMBs can make, he said.